Indulge in Stellenbosch accommodation at its finest in a graceful garden setting located in the heart of South Africa's famous Cape Winelands. 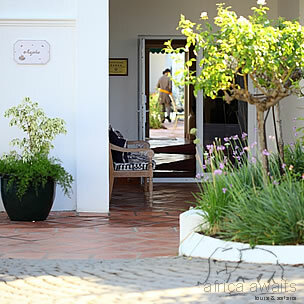 Majeka House is where the easy elegance of yesteryear is perfectly enhanced by the ultimate in modern-day luxury. Nestled on a private garden estate in Stellenbosch, South Africa, at Majeka House a lifestyle of quiet luxury awaits in lavishly-appointed accommodation. Tastefully decorated to calm and soothe, here discreet service and your choice of Premier or Superior room is designed to ensure the perfect stay. Superior Rooms: Dedicated to tranquility, each of the three Superior Rooms at Majeka House boasts a private terrace with magnificent garden and pool views. Rooms are complete with en-suite bathrooms and are stylishly decorated in a neutral palette brought to life by vibrant splashes of red. Premier Rooms: Twelve new Premier Rooms are now open and offer stylish and spacious accommodation that our guests have become accustomed to. 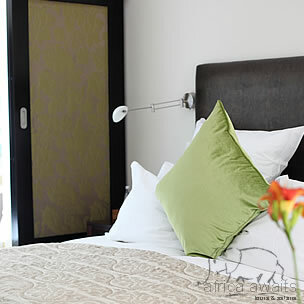 Each room boasts the same cutting edge in-room technology, facilities, and services as the Superior Rooms. Our head chef, Anri Diener has been cooking up a storm at Majeka House since November 2009. She has gained a lot of experience whilst working at some of the finest restaurants in Winelands. Anri and her team's culinary efforts are sure to delight your palate. During our chilly winter evenings the relaxed ambience of our restaurant with its roaring fire or sitting outside on the terrace on a warm summer evening with the smell of roses and jasmine in the air - will most definitely assist in making your stay with us a memorable experience. Indulge in wellness with a treatment at the hotel's boutique Sanctuary Spa. World-renowned, the Pevonia Botanica spa brand is offered by prestigious spas around the globe. Pevonia professional treatments and at-home products provide effective skincare solutions for women and men of every skin type, age and ethnicity. Combining the finest natural ingredients from oceans and earth, proven-effective formulations and high-tech manufacturing, Pevonia delivers outstanding visible results and an unsurpassed spa experience. 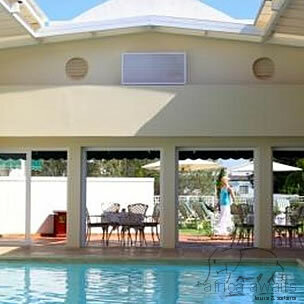 With your holiday, safari or business trip from in to Majeka House in Cape Winelands.